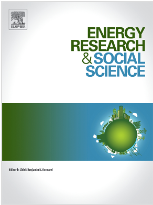 Kovacic Z & Di Felice LJ (2019), 'Complexity, uncertainty and ambiguity: Implications for European Union energy governance', Energy Research & Social Science, vol. 53, pp. 159-169. DOI: 10.1016/j.erss.2019.03.005. Available in gold open access on Zenodo. Energy security is an ambiguous concept. Growing academic interest has aimed at defining, conceptualising and measuring energy security, often through indicators. Energy policy in the European Union (EU) is not concerned with energy security’s ambiguous conceptualisation, nor does it use energy security indicators, but it refers consistently to security as one of its primary aims. In this paper, by analysing the use of energy security both in scientific publications and in EU policy, we argue that the ambiguity of the concept plays a function in the policy process and is only seen as a problem in the academic literature. Building on the uncertainty literature, we conceptualise ambiguity as the type of uncertainty that emerges from complexity. Complexity leads to the existence of multiple representations of a system, which may serve different purposes in the policy process, generating ambiguity. Uncertainty is mobilised to frame energy policy as a matter of security. This has implications for the science-policy interface: on one hand, the analysis suggests that science’s aim of providing holistic assessments and clarifications may not serve its desired instrumental purpose in policymaking; on the other, ambiguity allows for materially ineffective policy measures to persist in the name of energy security.